Committing to a regular workout schedule can be a challenge for anyone. You may have a gym membership, but actually getting there and the thought of working out in a crowded and sweaty public space can be discouraging. You may have a few pieces of workout equipment at home that can get you through the days where you can't make it out to the gym. But maybe your equipment is sitting in a dark and cluttered basement and the thought of going down there is enough to knock you off your training schedule. This is where a designated home gym can be a great convenience. 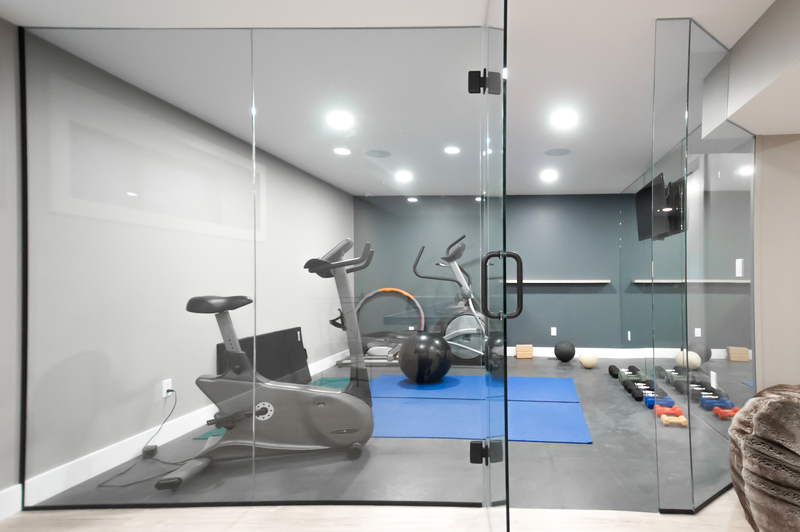 Not only are the chances of you increasing your workout results increased, but the aesthetic appeal of your home can also heighten with a home gym. Is there adequate living space? How will a gym affect my home's décor? Are there electrical requirements that need to be observed? Depending on your workout regime, you probably don't need a whole lot of space. A typical home gym may have one or two pieces of cardio equipment, such as a treadmill, elliptical and/or stationary bike, plus some free weights or maybe a weight machine and some other smaller accessories including kettlebells, a yoga mat, and a bench. If you don't have a lot of room, floor-to-ceiling mirrors can add the illusion of space, and also serve as a means to check out your form while working out and exercising. 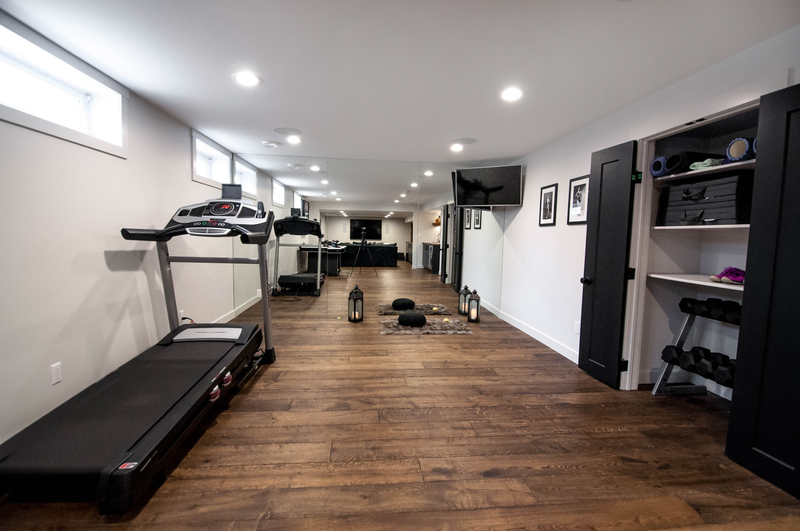 Consider making a space in your basement, or converting a playroom your children have outgrown, a spare bedroom, or extra heated garage space into a fitness area. The options for suitable floor coverings in your workout space should be durable enough to withstand heavy equipment and lots of movement, yet soft enough to cushion your fall. There are many options available to suit a variety of budgets, from rubber flooring to rich, rustic hardwood. If recovering your floor isn't in your budget, consider large, sturdy mats or interlocking foam to place underneath your equipment and another to place under your feet. As mentioned above, it's difficult to stay motivated when your home fitness space consists of cobwebs, clutter, and a dreary unfinished basement. Creating a home gym design specific to your likes and needs can greatly enhance your focus to stay motivated. You'll actually want to be there. Consider paint colour, lighting, air quality, and ceiling height. Hang a television on the wall to play music, workout or yoga videos. An appealing and accessible workout space is a key element in ensuring a fit lifestyle. A dependable home gym saves time and can save costs in the long term. 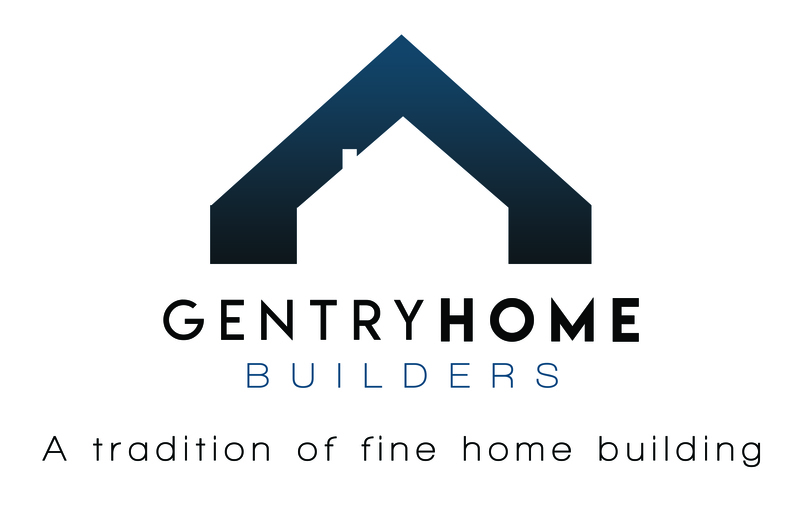 If a home gym is something you're considering, Gentry Home Builders can help you get started with a free in-home consultation to begin the design process.